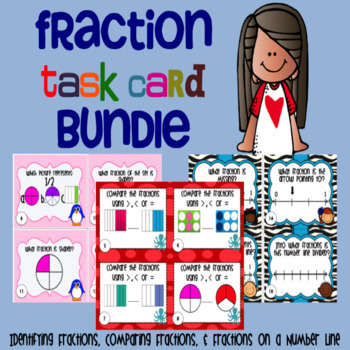 This bundle includes: identifying fractions, comparing fractions, and fractions on a number line. 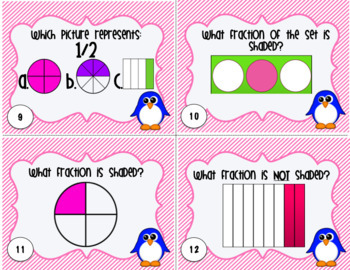 Sixty different cards to help students in their understanding of fractions. 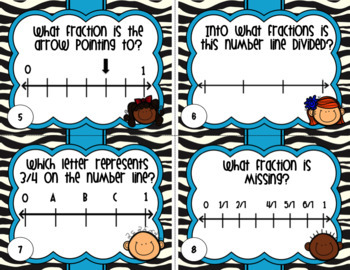 Each set comes with an answer key and recording sheet. 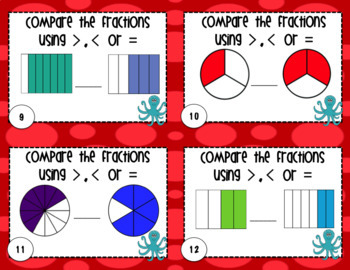 These are perfect for math centers, SCOOT, small group instruction and independent practice.